Uh Oh! Am I going back in time? Planning my trip was a bit of an effort. 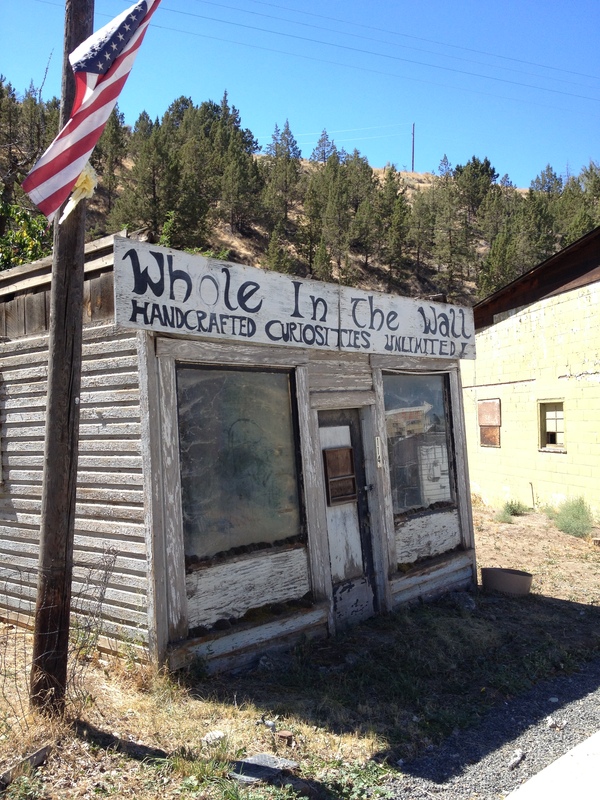 The route I wanted to see in inner NE Oregon wasn’t all that clear – I had no less than four maps and guides. Some showed route numbers, and some just gray lines on the map. 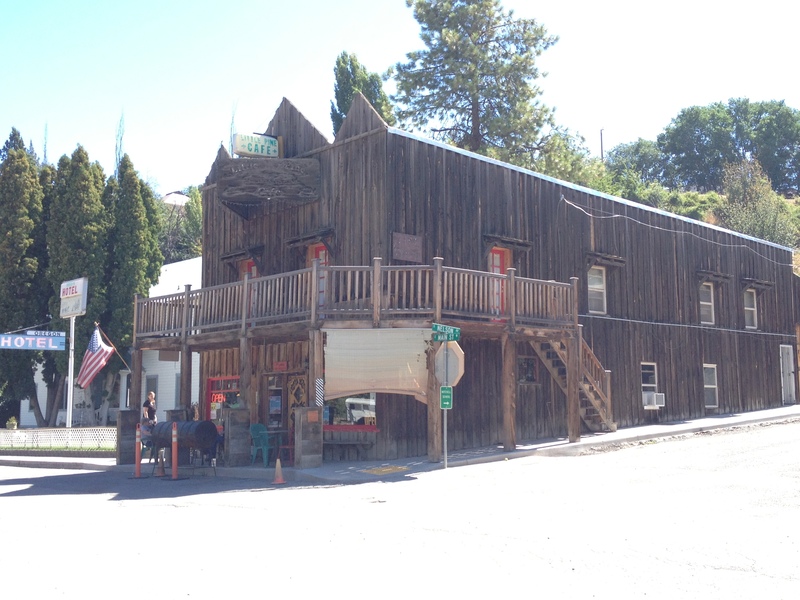 Others showed possible ghost towns, like “Greenhorn,” “Granite,” “Sumpter,” or “Susanville.” And others still showed tent icons where one might camp along the way. So, I pieced together a route from all these sources. Looking at it in total, I decided the most rewarding way to head out there was to use Oregon’s highway 26. That would take me past Mount Hood, into Central Oregon, through Prineville, and up and into the Ochoco Mountains. 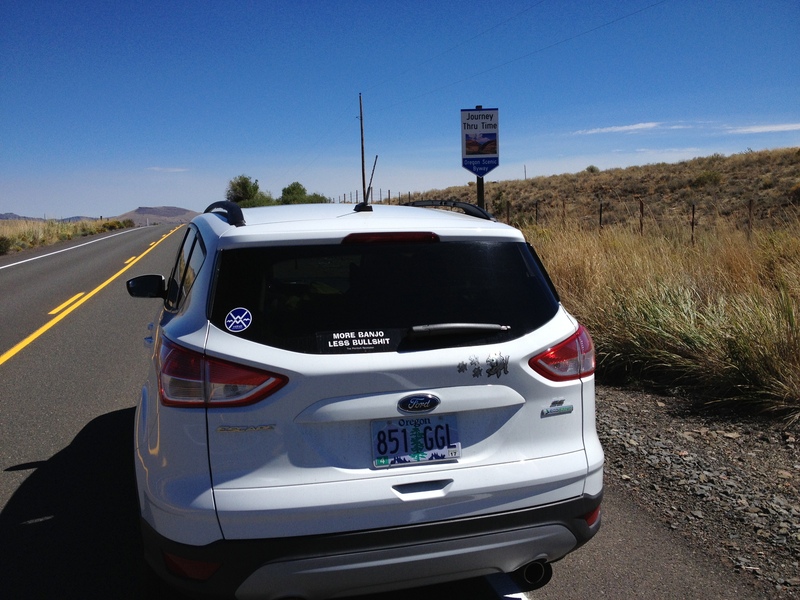 From there, the road would meander along the John Day River and the Journey Thru Time Oregon Scenic Byway. What better way to get to inner NE Oregon? The other way would take me via I-84 which I have seen so many times. 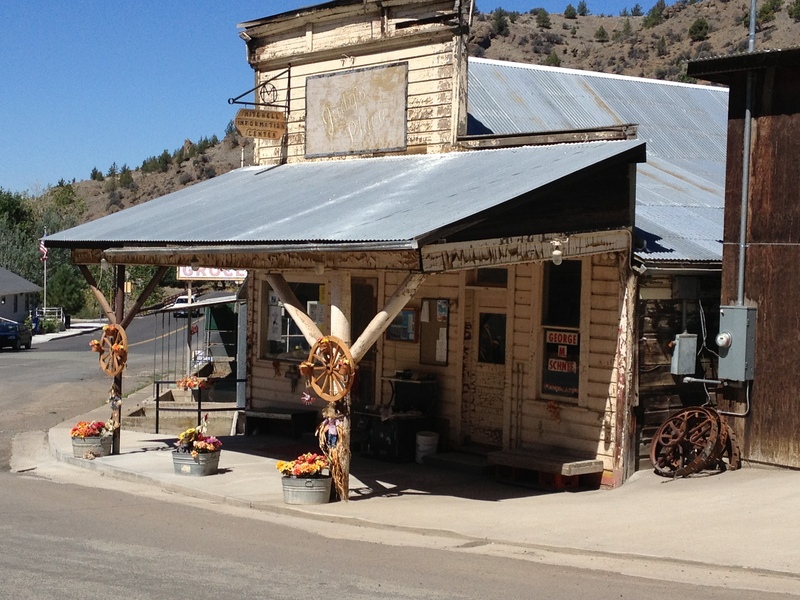 Highway 26 meanders through farms, ranches, and small towns such as Mitchell, Dayville and Prairie City, all the way to its connection with the Elkhorn Oregon Scenic Byway. I’d need to get an early start. So the night before, I packed the 2013 Ford Escape SE. The weather forecast looked great. I would be on the road by 8:00 a.m. And what a day it was. Sunny and bright. I’d just had the car’s first oil change, so it was ready. Packed up, iPhone 4S plugged in with 1,840 songs, ready to go! No kayaking this trip so I removed the roof rack to get max mileage. I’ll have grilled pork chops tonight with mashed potatoes and salad. But I dunno where I’ll be camping. Just figure it out. See how it goes. On my way. Up and over the Oregon Cascades, through Blue Box Pass, about 4,400ft. 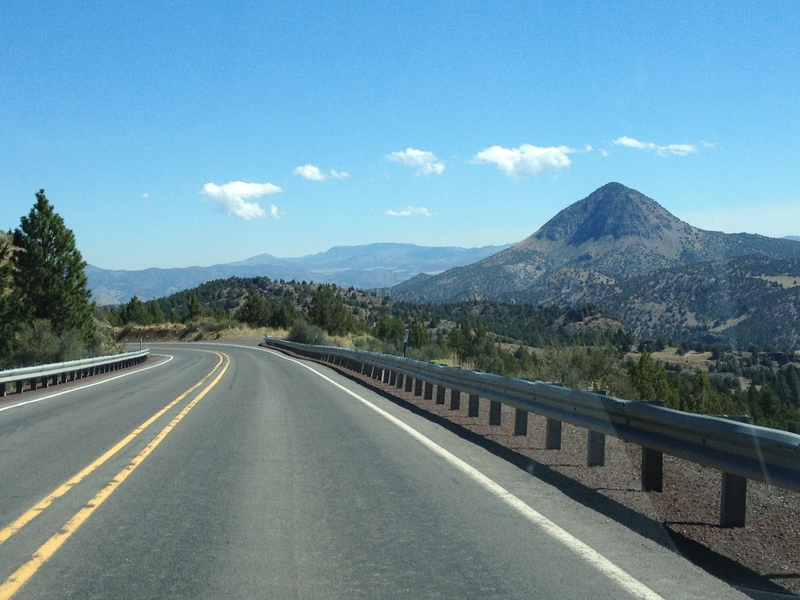 Then into the Central Oregon Plateau past Madras. From here, I can see Mount Bachelor (9,068 ft), the Three Sisters (10,358 ft), Broken Top, Mount Washington (7,800 ft) Three Fingered Jack, Mount Jefferson (10,450 ft) Olallie Butte, Mount Hood (11,241 ft) and even Mount Adams (12,280 ft)! I climb the Ochocos. These are high dry mountains. It’s pretty up here. Ponderosa pines are everywhere. Descending toward the John Day River Valley, the view is unlimited, the sky crystal clear. The road eventually drops into a crack in the earth – the Picture Gorge. In the Picture Gorge, the John Day River has followed a fault line for millions of years. That is right. And it has flowed here for so long that it is older than the mountains themselves. When the flood basalts erupted and flowed all over eastern Oregon millions of years ago, the John Day River kept on cutting through on its way to the Columbia. Thousands of feet of basalt layer caked one upon another but the John Day continued cutting. Today, the John Day river flows north right through the ascending basalt layers, even as the highway descends in the opposite direction. There are few places on Planet Earth where a river seems to flow INTO a mountain, rather than out of it. This is one such place. I saw another in New Zealand, when I was there in January 2013. Not long after the Picture Gorge, highway 26 opens up into a beautiful valley filled with farms and ranches. It is here one finds the entrance to the John Day Fossil Beds National Monument and Oregon’s Painted Hills. I’m not here to see these treasures, my quarry lies beyond. But I am enjoying the view, and by noon getting hungry. The town of Mitchell comes within striking distance, so I decide to Stop in Mitchell, Oregon and grab a bite for lunch. Like a lot of eastern Oregon towns, Mitchell has seen better days. Yet, it has enough character to hold up all its own. Townsfolk lazily walk the street, stopping to seek shelter and converse under a shady porch or tree. Nobody is in a hurry in Mitchell! My lunch spot today is to be the Little Pine Cafe, right on main street. Its customers this lunch are myself, a family from Portland, and a mother with toddler. Mom and toddler regularly go behind the counter to pick up condiments or change the station playing on cable TV. I pick the Mushroom Swiss burger and a side of macaroni & cheese. Turns out to be fine and dandy! I can only imagine. I depart feeling satisfied, planning to return on my next pass through. Today’s drive will take me through the towns of John Day, Prairie City, and into the Elkhorns, into Sumpter and Granite. Check back on the next blog post for Elkhorn Mountain trip journal entries!